"We want to highlight how women are shaping a better world today through their work helping cities become resilient in the fight against climate change, by delivering digitally-enabled greener transport solutions or designing the research labs that will deliver the scientific breakthroughs of the future." Some of Arup’s most talented consultants working across the built environment will share their career stories with a 6,000 strong audience of secondary school girls as part of the I Wish conference in Ireland. The nation-wide campaign seeks to encourage young girls to explore careers in STEM (science, technology, engineering and maths). The conference, which has reached more than 12,000 students since it started, will host events on 7-8 February in Cork and on 11-12 February in Dublin. Through a mixture of talks, panel discussions and engagement with female role models, the event seeks to address the skills gap and encourage the next generation of women into STEM. Arup is proud to have supported I Wish since it was first created in 2015. Jennifer leads Arup’s UKIMEA Science sector and specialises in the design and construction of science and research buildings. She will relate some of her career highlights, emphasising the role engineers play in helping to change society. “I’m looking forward to explaining the major positive impact you can make on society through engineering. I want every girl out there to know that through a career in STEM, they can help change the world for the better,” said Jennifer. Orla will share her inspirational career journey at Arup, describing her transition from an Arts degree to a master’s degree in environmental science, starting her career in environmental consulting and now working in digital advisory. With a keen interest in disruptive technologies and contributing to sustainable development, Orla applies her skills in these areas and maintains that the way you think is the most important element of work. “There are opportunities for everyone in engineering. Being open to learning and trying new disciplines will take you places. One piece of advice I would give to my younger self is to not be afraid to explore a career in STEM,” said Orla. Several Arup staff members will take part in panel discussions centred on how they chose their career paths and the impact you can have on the world by working in STEM. Across the four days, the students will have the opportunity to visit the Arup stand to find out what it is like to be an engineer and the kinds of opportunities which would be open to them if they choose STEM. Arup remains committed to creating a diverse working environment. 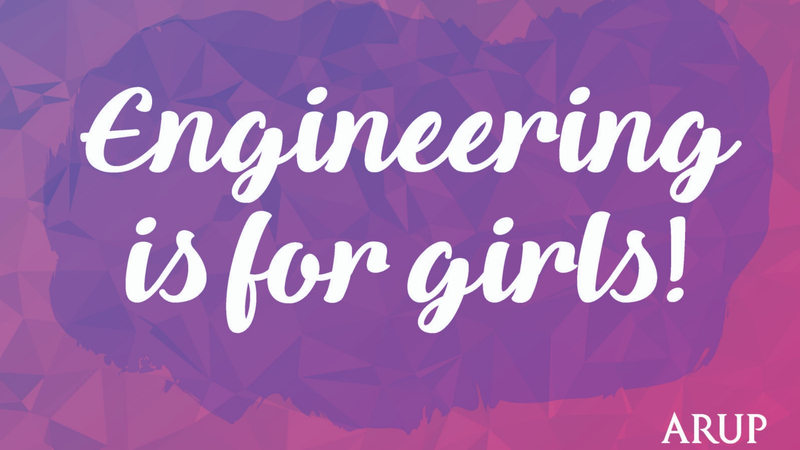 We are involved in many initiatives which promote STEM, including our Transition Year programme in our Dublin and Cork offices, STEPS to Engineering and UrbanPlan. Find out more about careers at Arup.